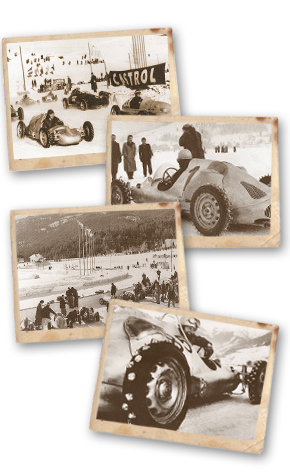 The roots of ‘skijoring’ or motor skiing can be traced back to Bavaria, circa 1955, when a group of Germanic lunatics decided it would be a good idea to use motorbikes, VW Beetles and Porsches to tow themselves around for fun. Filmed in Bavaria, Germany. The skiers are towed behind cars travelling at great speed. The concept is simple enough: put a rope on a car or motorcycle, presumably equipped with studded snow tires, then have the driver navigate a race course at speeds up to 100 miles per hour. Probably not considered the most dangerous sport by today’s standards! Evidently safety was not as big of a concern back then either. The speeds and proximities to other skiers in this clip are unlike anyone would have attempted. 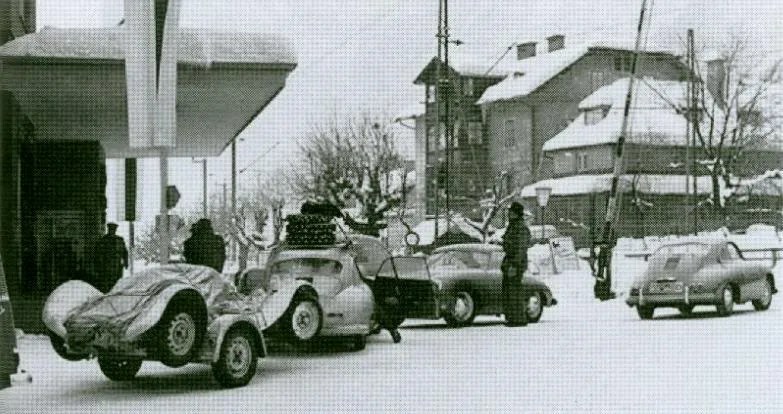 See the Teutonic madness, featuring Porsche 356s and even a Porsche 550 Spyder, a short but sensationalized video below. You can spot the Porsche 550 Spyders in the video, and what appears to be Otto Mathe’s famous 4 cam-powered single seat racer, which you can see in person visiting the Prototype Museum in Hamburg. World’s Most Dangerous Sport (1955). Filmed in Bavaria, Germany. Skiers are towed by cars and motorcycles travelling at great speed. Probably not considered the most dangerous sport by today’s standards!